Every now and then, a product comes along that seems like a good idea but that, for one reason or another, flops commercially. The world has seen a lot of "Edsels" (like quadraphonic hi-fi), and we musicians have also experienced our share of products that seemed promising but never quite caught on. Witness the guitar synthesizer. Once hailed as one of the most exciting developments for guitar since the electric pickup, these devices now have failed to make much of an impact - at least the first wave of guitar synths haven’t. The ARP Avatar died a slow death along with its parent company; I haven’t seen a concerted 360 Systems ad campaign in years; the Patch 2000 is a memory; and while HEAR keeps plugging away at the Zetaphon, they are a small company and currently not a factor in the mass market. In case you think I’m going to talk about what a shame it is that these devices never caught on, forget it! The units I played had serious flaws that, for me, rendered them useless. One device could only handle one note at a time, and you had to play with an incredibly sterile technique; mute a string, or hit a harmonic, and the whole thing would go crazy. Another one refused to play in tune. Yet another wouldn’t allow you to bend strings, and still another was more or less playable (mostly less), but the end result was sonically no better than that achieved by a not-very-good Minimoog keyboardist. 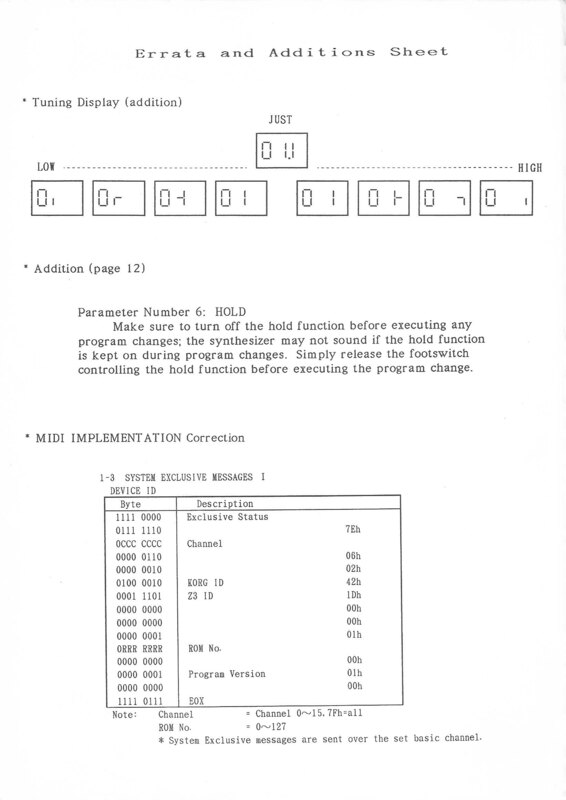 No wonder the units didn’t sell and guitar synthesizers acquired a bad reputation. I did play one, however, which I felt had promise: the GR-500, Roland’s first entry into the guitar synth market. Unfortunately, it too had flaws - it was complex, difficult to use, and you had to play on a Roland guitar which, to put it charitably, would never be mistaken for a vintage Les Paul. 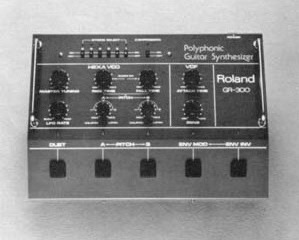 Then a couple of years ago, Roland - at that point just about the only major company still interested in guitar synthesis - introduced the GR-300, a truly polyphonic device (i.e., you could play full chords, and were not limited to single notes). Some of you may remember my report in Guitar Player of the NAMM show at which it appeared [May ’80] and the enthusiasm I had for the unit. Shortly thereafter, I acquired Roland’s G-808 guitar and matching GR-300 electronics. After years of using that combination, my initial enthusiasm hasn’t diminished one bit. If anything, I think more highly of the unit now than I did upon first handling it, and am still discovering new applications for the device. I consider the GR-300 to be a true watershed product, much like TEAC’s first 4-track portable recorder, the Minimoog, or, more recently, the Steinberger bass and Sequential Circuits’ Prophet 5 keyboard synth. I am also impressed with Roland’s tenacity in trying to put out a good guitar synthesizer, because so far, guitarists in general haven’t given any of these units a warm welcome. I think, however, it’s just a matter of time before the "Electronic Guitar" achieves the recognition it deserves. Since Roland’s ads, in Guitar Player and elsewhere, have explained their concept pretty well, we’ll limit ourselves here to a very brief description. Roland offers a number of G series guitars that are playable as standard electrics, but which also include a hex pickup and a multi-conductor cable that plugs into a box of electronics (the GR series). At first, Roland only produced two Les Paul-style guitars; but now they are branching out, producing a Strat-type instrument, too. There are two synthesizer packages, the basic version GR-100 and the more sophisticated GR-300. Clearly, Roland has made a commitment to the electronic guitar market, despite industry wide sluggish sales and a less-than-kind consumer eye towards high ticket items. I should also add that Roland makes a bass synthesizer; however, I have not had a chance to play it. So, here we’ll limit our comments to the guitar-oriented devices. The GR-300 synthesizer module includes three main sections: a hex fuzz, which is the equivalent of putting a separate fuzz on each string; an oscillator bank, which consists of two oscillators that may either track the guitar or be transposed within the range of one octave above or below concert pitch; and a modifier section, which consists of an envelope follower/ inverter with filter and adjustable attack time. The filter is a low-pass filter used on many keyboard synths. The envelope follower varies the cutoff frequency of the filter in response to your dynamics (hitting the strings harder gives a brighter sound, or a "waa" effect; adding the inverter gives an "ow" effect where hitting the strings harder kicks the filter frequency downward, producing a mellow sound that can also be quite percussive when set correctly). There are several other options, such as compression, a balance control that allows you to balance the mixture of synthesized and straight sounds, "rise" and "fall" controls that let you swoop up or down to a selected pitch, a dual effect that gives a chorus sound, string-select switches that let you engage the synth effect for the strings of your choice (anywhere from just one to all six), a number of footswitches for real-time control, touchswitch vibrato controls, and so on. Despite these many options, though, the GR-300 electronics package looks simple deceptively simple, in fact. You might think that the number of possible sounds would be pretty finite, but that just isn’t so: There are enough jacks and controls to keep you occupied for a long time. What’s more, I was lucky enough to obtain a set of schematics for the GR-300, and it looks like there are a number of simple modifications that can be made that would greatly enhance the machine’s possibilities. 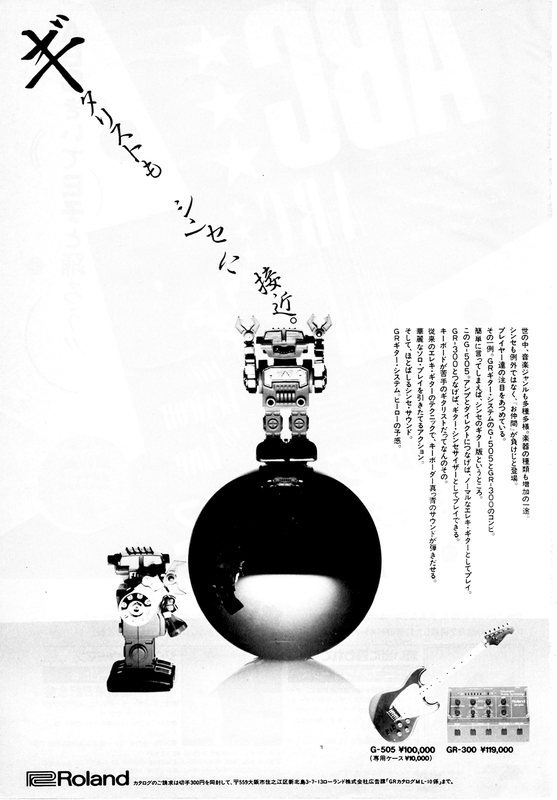 So, the GR-300 is definitely something you can grow with, especially if you have some do-it-yourself electronics chops. Okay. So it’s technically impressive. Big deal! What musical function does it fulfill that you can’t get with a guitar? How would you use it live? In the studio? Can you play it like a standard guitar, or do you have to go through a severe attitude change? Is it only for the pros, or can an amateur use it to advantage? And finally, can you overcome some of the unit’s built-in deficiencies (the GR-300 may be neat, but it’s not perfect)? We’ll tackle all these questions next month. See you then. Webmaster Note: Thanks to Ron Williams who sent me a photocopy of the original article! !